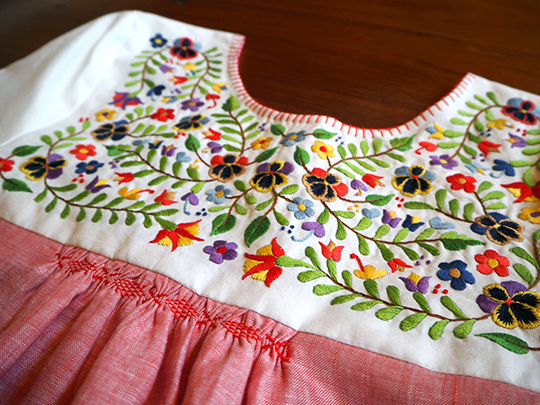 This time last year I was quite disappointed that I hadn't finished many textile projects in 2014. What a difference not having a day job has made in 2015. 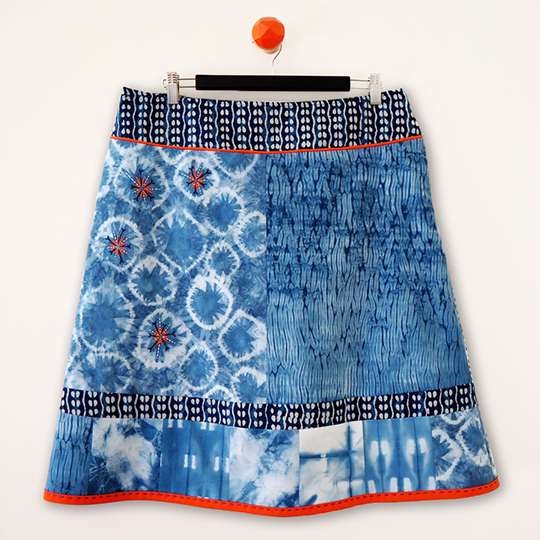 There's been knitting, stitching, dyeing, weaving, surface design, sewing and quilting. And I guess that's what I wanted this past year to be about... Experimenting, learning and improving my skills. So here's a visual journey through the projects I completed this year. This is one of my most recent finishes. Birthday present for a friend in April. 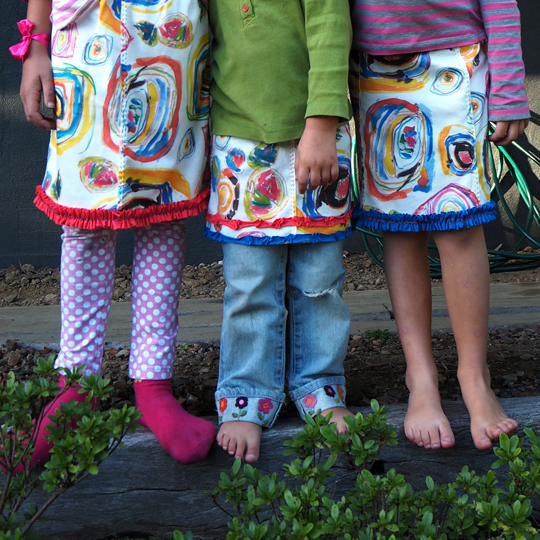 My nieces crayon drawings turned into Crayon Crazy fabric on Spoonflower and then sewn into skirts. Inspired by my trip to India – above and below. 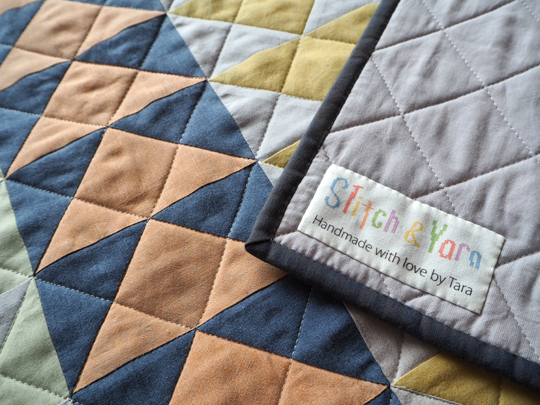 Baby boy quilt with my new Stitch & Yarn tags. 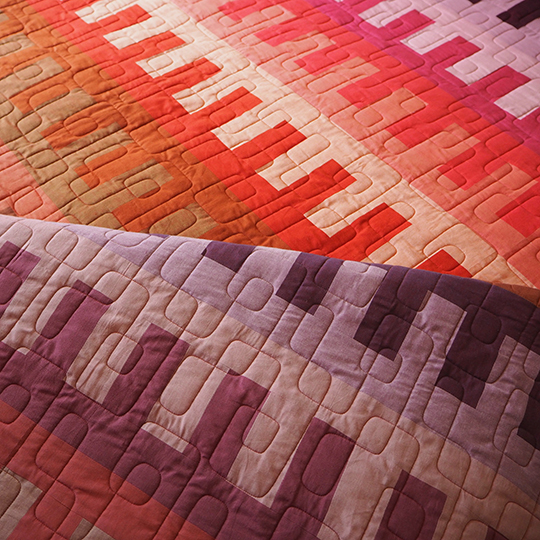 My first quilt pattern was released in 2015. I'm working on a follow-up for 2016. Patchwork cushions made from my Blomma fabric. This was my first finish for 2015. I wasn't sure about it at first and there are a few things I'd do differently next time, but I really like it now. 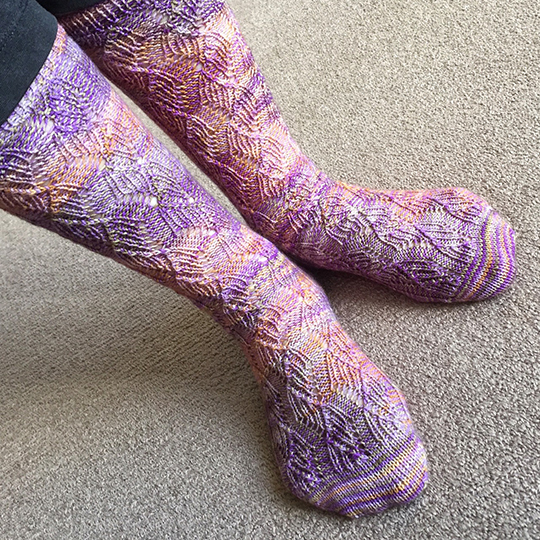 Mother's Day socks. Mum dancing a jig in them can be seen on my Instagram feed! 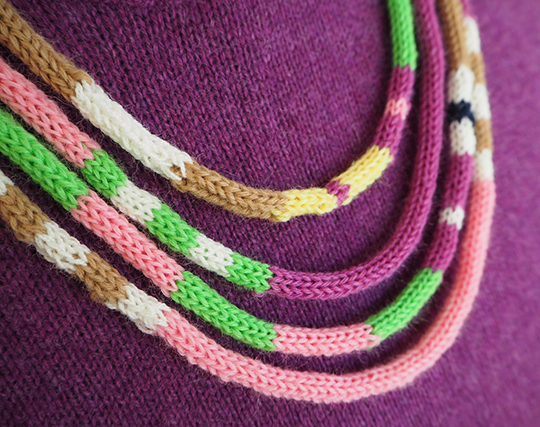 Knitted necklaces for an assignment. 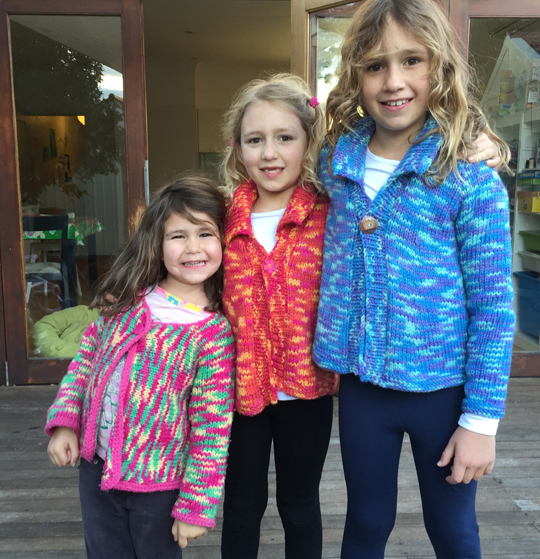 Juliet's cardigan was knitted in 2014, but the two on the right, Phoebe's and Olivia's were finished this year. And my final item for the year – Dad's 70th birthday present. 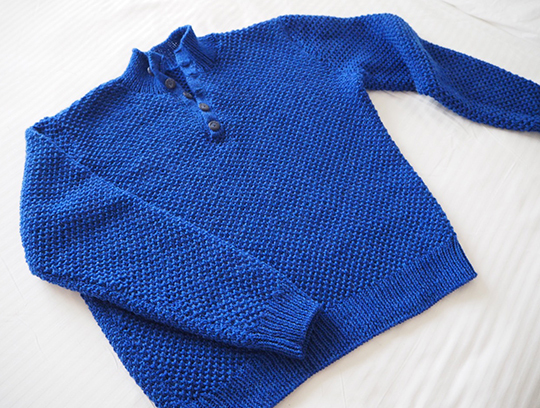 A Brooklyn Tweed Sawyer sweater. I'm super-chuffed with this one and it fits him perfectly. 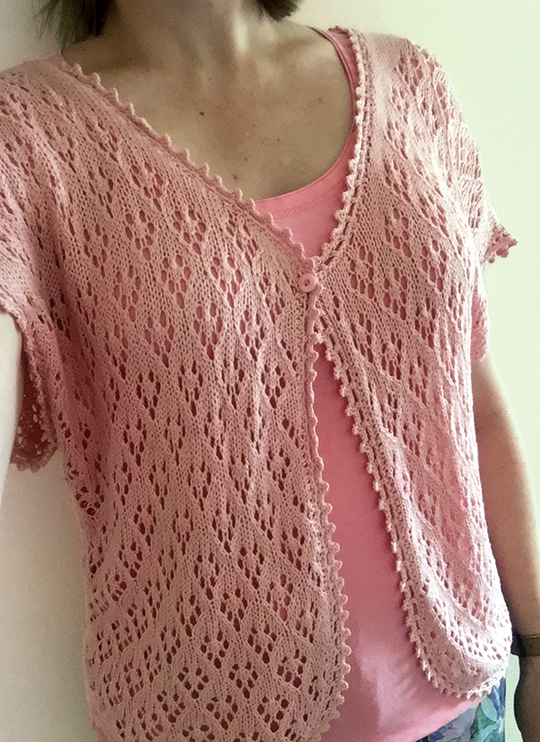 Details for all the knitted pieces can be found on my Ravelry projects page. 2016 is going to bring more changes. First off, I'm heading back to work next week. I still have my list of projects on the fridge for completion during the coming year, but I re-did it after accepting the contract role. It's not quite so ambitious any more, but it still has its challenges. 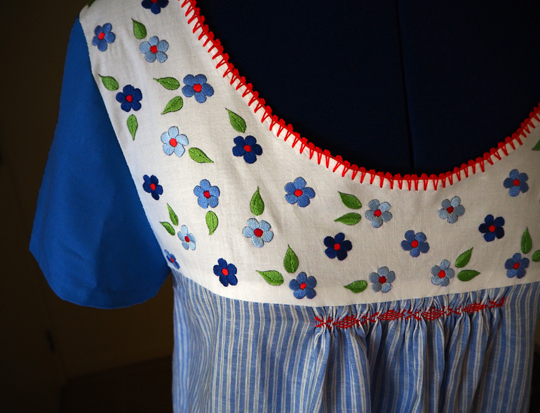 Wishing everyone a happy, healthy, creative and handmade 2016 – I'm off to start on that list. Aww thanks Stace – that's so sweet. Production has slowed a little since I started back at work, but I still have a list on the fridge of things I want to get through in 2016.